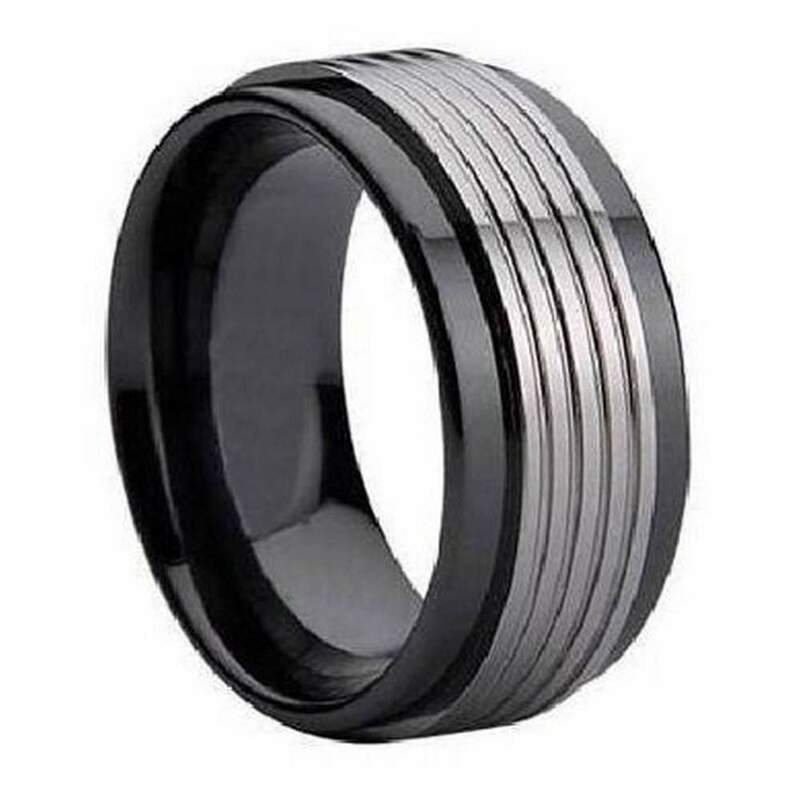 It's hard to resist the masculine appeal of this tungsten men's ring. An eye-catching grooved overlay of gunmetal grey tungsten carbide contrasts beautifully against polished black ceramic. 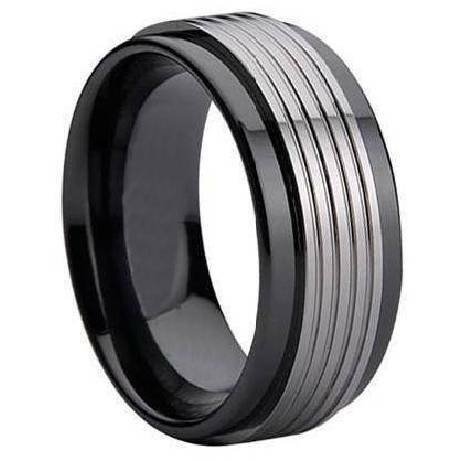 This affordable 9mm comfort fit black ceramic ring for men is equally striking as a contemporary wedding band or fashion ring. Comfort fit tungsten rings usually run 1/2 size larger, it is suggested you buy a half size smaller than your standard ring size. We recommend having your finger measured for a comfort fit ring at your local jewelry store for an accurate fit. All of our tungsten rings come with a lifetime warranty. I bought this for my husband as a promise ring (weird, i know) but i LOVE the fact that it looks PERFECT on his hand- he has huge, rugged working man hands and i couldnt find anything that looked right on them. It still hasn't scratched, and he's put it through rough tests since i told him it should withstand his line of work, so it definitely is durable as well- another huge plus. The only thing i don't like -reason for the 4 out of 5 star rating- is that the band with the ridges comes off? I have no idea if it's supposed to be like that or what.